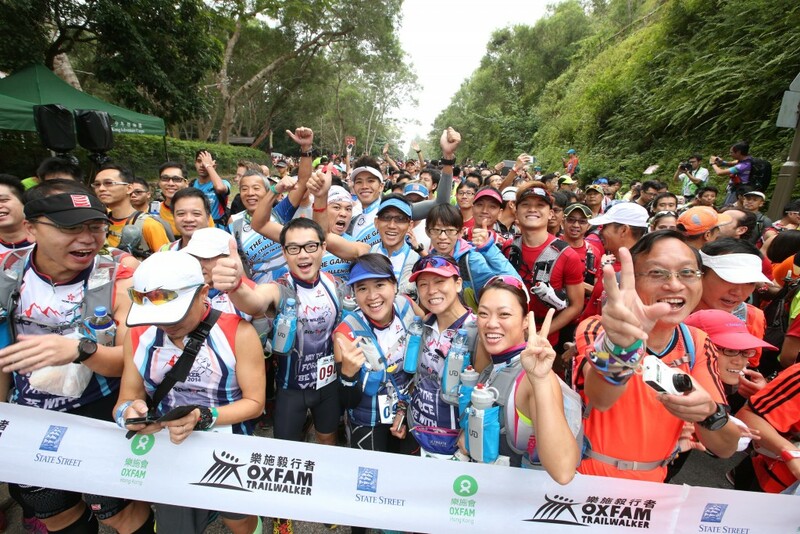 Oxfam Trailwalker is not an easy event; the last six kilometers of the route towards the Finish Point will perhaps be the most challenging, so participants must have a reasonable level of fitness, good planning and adequate training in order to be able to complete the 100km trail. Attending a first aid course together with your teammates is recommended, and good communication between members is essential to avoid any disputes due to differences in expectations. Confirm the team members as soon as possible and confirm that teammates are ready to commit the time and resources required to prepare for and attend the event. Keep teammates informed of the information provided by Oxfam. Work out a training schedule with teammates and set targets for the team according to the team’s training progress. Organise a support team and ensure other preparations are in place. 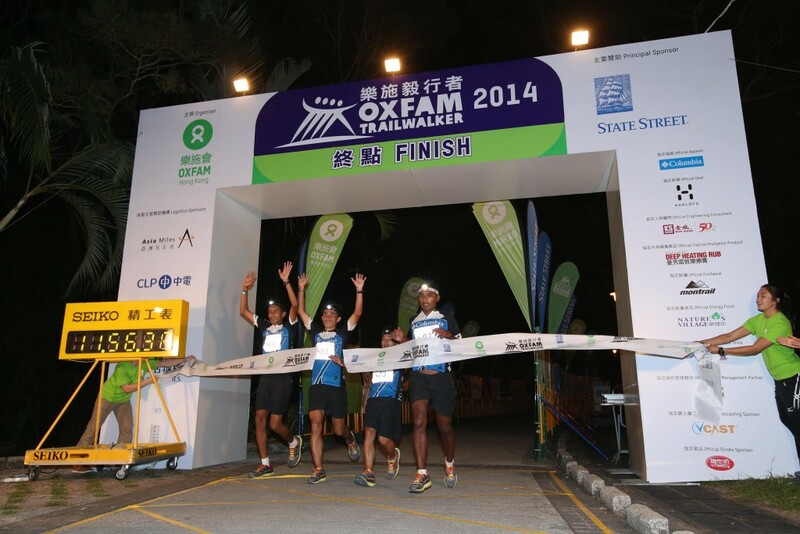 Collect all sponsorship after the event and send it to Oxfam Hong Kong by 18 December 2018. For locations of checkpoints (CPs), please refer to Trail and Checkpoints or to the Oxfam Trailwalker Google Map. Always take a map with you when practicing. Start practicing NOW! Walk at least once a week for a minimum of 4-6 hours (about 15-25 km). Plan a schedule with your teammates and stick to it! However, if weather conditions are unfavourable (e.g. rain, thunderstorm or high temperatures with high humidity) on the day of your practice session, you should consider changing the route or even suspending practice. Since the rules require that team members stay together along the trail, it is advisable to train all members to walk at a similar speed. You are recommended to increase the distance and/or time of your walks slightly every time you practise. All walks should include some hill work and rough cross-country sections. Please also bear in mind that a large part of the trail is on concrete paths or roads, so you will also need to train on hard surfaces. By the end of the training period, you should be comfortable with walking continuously for 10-11 hours without difficulty. Please make sure you have sufficient food and water with you. Dehydration is a real risk and can result in serious injury or death. The intake of appropriate levels of sodium (i.e. salt) is also recommended. As part of your training, choose a weekend to practise night walking. Distances, terrain and direction are all very different in the dark, and walking on rough ground while using a torchlight is a skill that needs to be practised. Estimate which sections of the trail you will be walking at night and practise them. If support members or friends join any of your practices, be sure they are sufficiently prepared as well to ensure everyone’s safety and they can also enjoy the walk. As the event draws near, perhaps the last two weeks, try walking about 8-10 hours on both Saturdays and Sundays. This will help you get accustomed to walking when you are feeling stiff and tired. However, remember to allow your muscles to relax during the two weeks before the event. For those who want to complete the route with as little discomfort as possible, a short run every day will serve as additional basic training in strength and fitness. Tired muscles start to stiffen after long rests. Shorter, more frequent stops are more advisable during the event. Warm up before you start the event and after subsequent rests. This will enhance the flexibility of your body. To let the slowest teammate set the pace is a good tactic to finish as a whole team. Wear a pair of good hiking boots or running shoes. Make sure they are well broken in before the event by wearing them on practice walks. Experienced walkers have found that double socking helps enormously. Some walkers recommend wrapping feet with adhesive bandages while others suggest massaging feet with Vaseline. Try these in your training and pick what is best for your feet. A pedicure a week before the event helps to avoid injuries to the toes when going downhill. Changing socks as often as possible can help to prevent blisters. Never try to remove blisters; instead, place a protective plaster over the blister. Plan what you are going to carry and what others will carry, then take turns carrying your shared items. Let your support team bring the rest to support points. It is most important that you carry sufficient water and warm clothes. Plan what to wear, remembering that the weather can change dramatically during the event. You will need warm clothing to replace or cover the clothes you wear, especially if they have become wet. Even in November, daytime temperatures can reach as high as 30ºC. A hat, umbrella and sunglasses are essential for protection from the sunlight. A reliable hiking pole can be very helpful for long walks like this. Water provides ideal rehydration but occasionally a sweeter energy drink makes all the difference to lagging spirits and tired legs. Lightweight, high-energy bars or pieces of fruitcake are also helpful. However, fatty and high-protein food should generally be avoided. Knee and ankle bandages are useful for preventing injuries to muscles, ligaments or joints. Basic first aid will be provided at CPs. It is recommended that you also bring your own first aid kit and medicine in case of injuries or emergencies on the trail. ※ You are strongly advised to purchase your own insurance for participating in the Oxfam Trailwalker event. Get yourself well-prepared for the trail!